Vote or die, originally uploaded by alister. It's election time again! 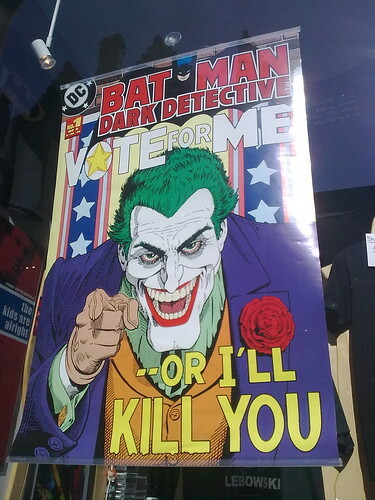 Whichever joker wins we lose! As a public sector worker I am anticipating big cuts to come. The NHS and local government will be cut to the bone. The NHS doesn't consist of those in 'frontline services' and a bunch of time wasters who do nothing except drain the coffers of the taxpayer. It will literally become a question of 'which server will we close down' or 'which app will we turn off'. That means patients records being out of date, patients getting the wrong medication or appointments and that is just I.T.